Bronze ware in the Rewi Alley Collection at Canterbury Museum includes mirrors, vessels, tools, and carm coins. Coin currency has its own exhibit. 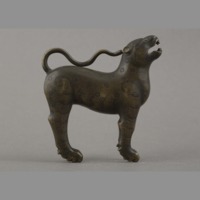 Highlights are three amulets, known as 'Nestorian Crosses', a Song dynasty bell, and various figures. 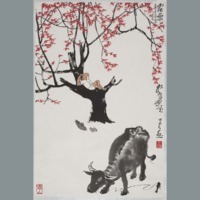 This collection features a painting by Li Keran, of a herd boy and water buffalo, with dedication to Rewi Alley. The collection also includes a painting of waterlilies by Li Weiqing, ancestor portraits, and a painting given to Alley in 1934 by colleagues. Rewi Alley and Canterbury Museum director Dr Roger Duff saw the ceramics collection as the best way to illustrate the length and sophistication of Chinese cultural history, and attempted to have each phase of Chinese ceramic history represented. 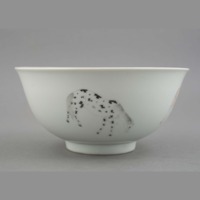 Highlights of the collection include neolithic objects discovered on the Shandan Bailie School farm, where Alley was headmaster in the 1940s, and Han Dynasty ceramics from the Gobi Desert. Alley published a book in Chinese on Chinese ceramics, and later co-authored a book in English on the topic. 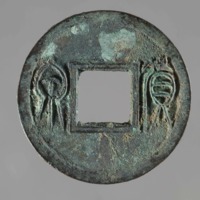 Currency from the Warring States period onwards is represented in this exhibit. It includes an example of 'knife coinage', and three Ming Dynasty banknotes. This exhibit includes objects presented as gifts to Canterbury Museum, or exchanges made between the Museum and other institutions in the 1950s, facilitated by Rewi Alley. The furniture received by Canterbury Museum in 1957 from the (then Imperial) Palace Musuem in Beijing was given for use in the Museum's Hall of Oriental Art, opened in 1958. 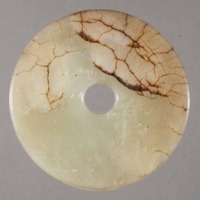 Jade is a highly prized material in Chinese culture. The Rewi Alley Collection at Canterbury Museum has a variety of jade forms, including bi, cong, and huang. Two areas of the Rewi Alley jade collection stand out: daigou or belt buckles, and jade gui and other adze-shaped forms. 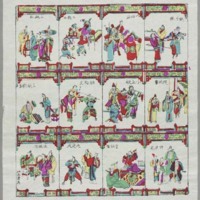 Alley took a scholarly interest in daigou, and published an article on the form in 1956. Adze forms also interested him, as well as Canterbury Museum director Dr Roger Duff, who traced the beginning of a particular adze typology found across the Pacific to the Chinese coast. 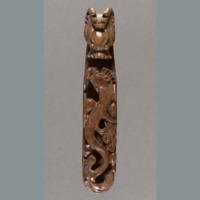 Small jade objects were ideal to give to New Zealanders visiting China to deliver to Canterbury Museum. 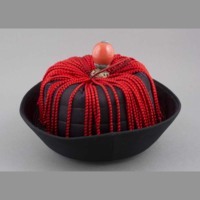 The Material Culture exhibit includes objects ranging from an ancestral tablet and oil lamps, to clothing and accessories, such as Mandarin buttons. Within the collection is a geomantic compass made by an esteemed eighteenth-century compass maker, and ink sticks made for a Qing Dynasty official. 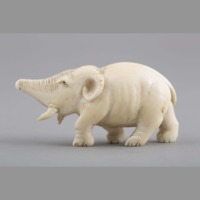 This exhibit comprises objects made from materials such ivory, wood and stone. Under textiles is an embroidered silk sheet given to Alley's mother by Song Qingling. Stone objects include heads and the model of a drum. The print exhibit features two large collections of Twentieth Century coloured prints. 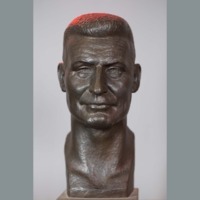 This exhibit includes two bronze busts depicting Rewi Alley, by Francis Shurrock and Harry Lu. Also in this exhibit is a carpet made by the pupils of the Shandan Bailie School in the late 1940s, made of wool from sheep given to the school by New Zealand farmers. The exhibit also contains a skull cap habitually worn by Alley in the later years of his life. 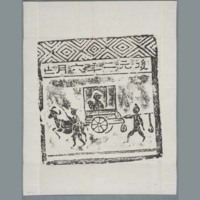 The rubbings collection includes an impression of the Nestorian Stele in Xian, as well as yuren ('feather men') and human figures. It is unknown where Alley acquired these rubbings. 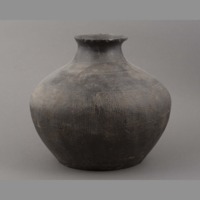 A Special Exhibition curated by the Director of the Shandan Rewi Alley Museum 艾黎博物馆, Han Jiancheng 韩建成. 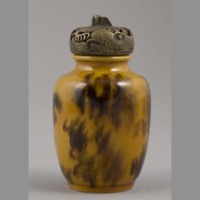 Director Han has selected 13 objects from Canterbury Museum's Rewi Alley Collection, and provided commentary on his selection. 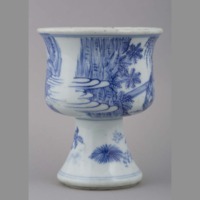 Blue and white porcelain has existed in China since the Tang dynasty (618–907). Over time, the variety of object types and decorative patterns grew and, rarely, foreign influences, such as Islamic designs carried east on the Silk Road, found their way into indigenous iconographic programmes. From the Ming dynasty (1368–1644), an array of vessel shapes and pictorial themes existed and Chinese blue and white ceramics were exported abroad where, for example in Western Europe, they became expensively priced and highly influential cultural treasures. Deeply appreciated for the whiteness of their ceramic body and the clarity of their blue decoration, many objects were painted with narrative scenes. Their pictorial language include botanical and figurative themes. Often plants or animals, such as bats, had deeply-rooted symbolical meaning, whereas landscape and domestic scenes referenced poetry or simply retold aspects of everyday life. The density of an applied painted decoration mattered and so did the void. In composition, small ceramic surfaces often related to larger scroll paintings and differed where a composition was devised in the round or, for example, a bulbous or cylindrical vase displayed a single continuous depiction. In Chinese art, it was often a single depiction that, by connotation, referred to a larger story, philosophy or culture, and thereby introduced and represented a larger iconographic or textural context. The story-telling is often executed in this nearly abstract form and employed a symbolism that is both diverse and rich and often grounded in century-old philosophy. This special exhibition is curated by Dr Florian Knothe, director of the University Museum and Art Gallery at The University of Hong Kong.